The social media landscape, though still young, has already gone through several phases. The current phase sees people realizing that tools like Facebook and Twitter are useful not only for looking at photos of ex-boyfriends but also for publicizing who they are and what they do. Those who use social media strategically are reaping the benefits; those who don't are overlooking a vital marketing tool. Through a variety of channels, aspiring writers, established writers and everyone in between can promote their talents and credentials in clever, continuous ways—at no cost. In other words, if you aren't doing it, why not? Instructor I.J. 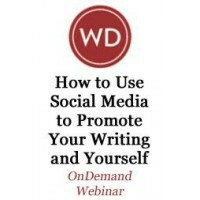 Schecter will outline different social media strategies and provide tools for determining which one best matches your writing goals. He will help you define your social media platform and execute it with impact and consistency.